We are reaching a point in our society where it is once again acceptable to put down an entire race of people based on their skin color alone. Even worse than that, our society is saying that the entire race is bad because of what their ANCESTORS did, not even because of something they are currently doing! 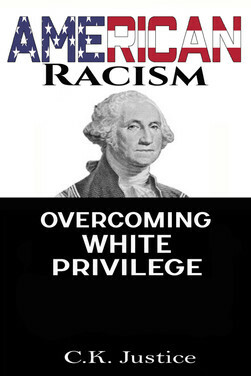 “American Racism: Overcoming White Privilege” lays out the facts of history, the proof of this new racism, and what to do about it. Please read my new book. I am offering the book on Kindle for $7.99. The paperback price is $14.95. Buy it on Amazon HERE and please be sure to leave a review so that others can be cured as well. Remember, this website is about facts and education. The intent is to learn the truth, share it, and change minds. Please don’t merely read the book. I want you engaged in the fight and talking about the lies you hear every day. DO NOT BACK DOWN. We are in a cultural war, if you don’t do something….evil wins.